All forms of transport and their necessary infrastructure are continually demanding increasing levels of safety, efficiency and environmental performance. Smart Systems, with their in-built knowledge base, offer reduced operator distraction and error, and optimisation of vehicle control, navigation and logistics potentially across multiple modes of transportation. 63 Smart Systems providers representing the Transport & Mobility supply chain from research through to market servers were predominantly engaged in the automotive sector (illustrated left). Instruments as the EU Green Car Initiative have attracted the attention of Smart Systems providers and users. This activity needs to migrate to other aspects of transportation. Of the Smart Systems providers surveyed, the great majority forecast employment growth, with a significant proportion of companies predicting headcount increasing by more than 50% by 2016 (illustrated left). There were no predictions of reductions in headcount. The Transport sector in EU 27 is immense in value (> €640 bn). The sector represents ~22% of worldwide production and R&D investments are ~5% of turnover (> €26 bn). Currently Smart Systems account for possibly ~1% of this, but could rise to ~10% (> €60 bn by 2020 through the greater adoption of sensor networks in the automotive subsector, smart devices for navigation, and seamless multimode transportation. Four clear front-running technologies were reported by companies engaged in mobility & transportation, respectively: Design & Simulation, MEMS, MOEMS and Microfluidics, Microsensors & Microactuators, Semiconductors & More-than-Moore technologies. Interestingly, companies engaged in this sector are far less engaged in Micro-Nano-Bio-System (MNBS) technology than the companies in four other sectors represented in this Strategic Research Agenda – Healthcare, Energy, Environmental and Manufacturing. The survey of 63 Smart Systems providers to the Transport & Mobility sector rated “Increased Functionality” as the most important driver compared to, in descending order, Reduced Cost, Increased Reliability, New Markets, Global Competitiveness, Simplicity in Use, and legislative drives to compel the use of new devices or techniques. 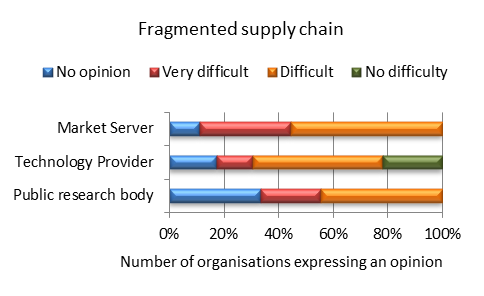 The most obstructive difficulty reported was “Fragmented supply chain”, responses indicating also that some 30% of public research bodies had no opinion about supply chain matters. Nowadays the car is still considered “the solution” to the demands for individual mobility, as it has evolved as the result of a process initiated one century ago and might now be expected to be a mature product. Nevertheless, ever more demanding requirements in terms of sustainable, environmental mobility are forcing breakthrough solutions which will give rise to a significant discontinuity with respect to the past. Due to different mobility needs there will be a further segmentation of the basic components: urban and extra-urban. As a consequence, the next challenge will be the identification of technical solutions able to cope both with the right to individual mobility and the requirements of urban and extra-urban regions. These items are still today top priorities, and will be the drivers for future technological evolutions in the perspective of sustainable individual mobility. Vehicles with alternative powertrains, and especially electric vehicles, may be the entry point for the massive introduction of e-actuators and x-by-wire technology on a very wide range of vehicles. In fact, in the coming years, several millions of vehicles, ranging from 2 wheelers up to busses, trucks and agricultural machines, will feature a wide range of components and systems which will be “smart” by nature. This in turn will call for novel platforms and novel E/E architectures. Over the last 20 years we have witnessed an impressive evolution in automotive vehicles in terms of fuel efficiency, driving performance and active safety. Automotive electronics has been the key enabling technology in those areas, fuelling and enabling innovation, and now representing more than 40 % of the entire vehicle’s value (ICE technology). This percentage is much higher in the case of Hybrid Electric Vehicles and Fully Electric Vehicles, reaching up to 75% of the vehicle’s value. Hence, Smart Systems will play a relevant and rapidly increasing role for the sector and its subsectors, being fundamental and affordable building blocks in the development of the system, or product, as a whole. The ability to design and develop better systems will also bring the ability to better address some societal challenges (for example energy efficient mobility, and hence less dependence on oil and lower carbon footprint, avoidance systems leading to less fatalities, introduction of automated driving, and many more possibilities). The increased level of “smartness” to be provided by the next generation of Smart Systems, will require much improved real-time performance coupled with the capability to seamlessly integrate various components (for example passive and active sensors, actuators, ..) into a single unit. Moreover the system “availability” level must be exceptionally high when it will be used in critical applications. In the case of safety relevant applications (for example ADAS, ABS/ESP, FADEC, etc) the hardware/software system architecture is going to be quite complex and must be compliant to emerging standards, such as ISO26262 and others. To support the development of energy efficient vehicles and alternative powertrains advanced power electronics are needed that operate in demanding temperature regions. Active and passive cooling strategies have to be pursued. New generation of electric vehicles calls for innovative battery management enabled by smart systems. The future energy efficient vehicle requires highly integrated, high power density electric machines as well as optimized ICEs, increased integration of components and systems. All these are enabled by advanced ICT and electronic systems and components that are characterised itself by high integration and a high level of “smartness”. Another major challenge is the internal communication and the interfacing between the novel smart systems and components described above as well as the communication and the interfacing to the outside of the car. Finally, standardization is a challenge in every respect for securing compatibility, safety and also for providing security regarding the market introduction of systems for the user but also the stakeholders in the automotive industry. In the Automotive domain there are several applications where Smart Systems have been playing a very relevant role for many years. Through this experience it is easy to foresee further improvements, both in terms of performance and in terms of the “smartness” of the vehicle. For instance, the electronic control of transmission (TCU) integrates the clutch/gearbox actuators, being either electro-hydraulic or electro-mechanical, and various sensors into a compact mechatronic system. In most cases the TCU is incorporated into the whole transmission system and has to withstand severe mechanical and thermal conditions. The first generation of TCUs provide simple and robust control of the actuators over the lifetime and according to different operation modes.Then, the second generation of TCUs will cope with the actuators’ parameter drift and aging; moreover it will perform sophisticated real-time diagnosis and analysis while also implementing several safety mechanisms. Finally, the next generation of ADAS will be able to co-operate with other on-board system to build a consistent scenario. The system will be able to reconfigure itself in case of severe faults while providing the highest level of “availability”. The automotive industry is a key contributor to the European economy and society. Europe is the world’s largest vehicle producer with an output of over 17 million passenger cars, vans, trucks and buses per year, and represents about 6% of EU manufacturing.This position has been achieved thanks to well established supply chains, and European vehicle manufacturers being global players, driving innovation towards cleaner, safer, and more sustainable transport. The industry’s product development activity is a strong asset, where technological and quality levels are extremely good. Nevertheless, as manufacture moves to low cost regions it is vital to maintain momentum in this field, with particular respect to high-tech and enabling technologies (for example energy storage systems).There is a strong research base, demonstrated by a total of 8,568 patents being filed in the automotive sector at the European Patent Office in 2011. Despite the remarkable achievements made so far, a political scale of long-term investment is needed to support the development of infrastructures for sustainable mobility and mass transport.Moreover, special attention must be devoted to high level education, focusing on new disciplines and counteracting the declining numbers of engineering graduates. The relentless race towards CO2 reduction will drive the development of new powertrain technologies, where electrification will offer further opportunities for Smart systems. It also true that the continuous upgrade of regulations concerning emissions is causing an impressive effort, and huge hidden costs, for the homologation of new models. In this context, ICT and smart systems and components because of their key enabling function will provide tremendous business opportunities, e.g. seamless multimodal travelling, for global market development. The integration of existing base technologies and new ones for navigation. A unified semantic for sensors, especially with reference to the Internet of Things. Data security aspects related to the integration of nomadic devices. 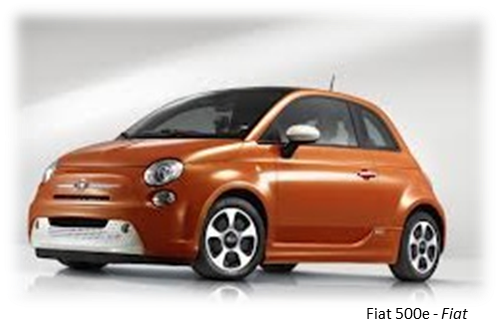 The integration or upgrading of older vehicle into the new infrastructures.